The window boxes on the Silo Bakery windows are made from cedar that contains inherent natural oils that deter insects and rot. Redwood is another wood with similar natural oils that will also deter insects and rot. 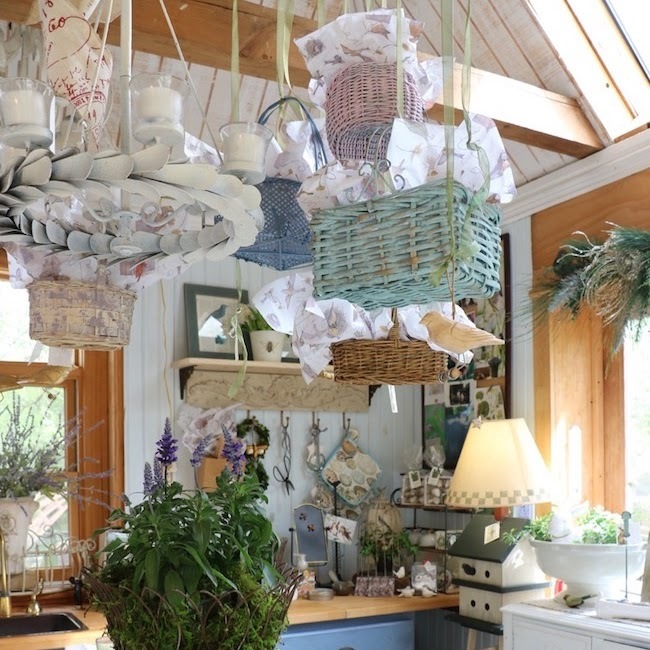 Metal wire baskets can give a more formal look or a more farmhouse look depending upon the style used. 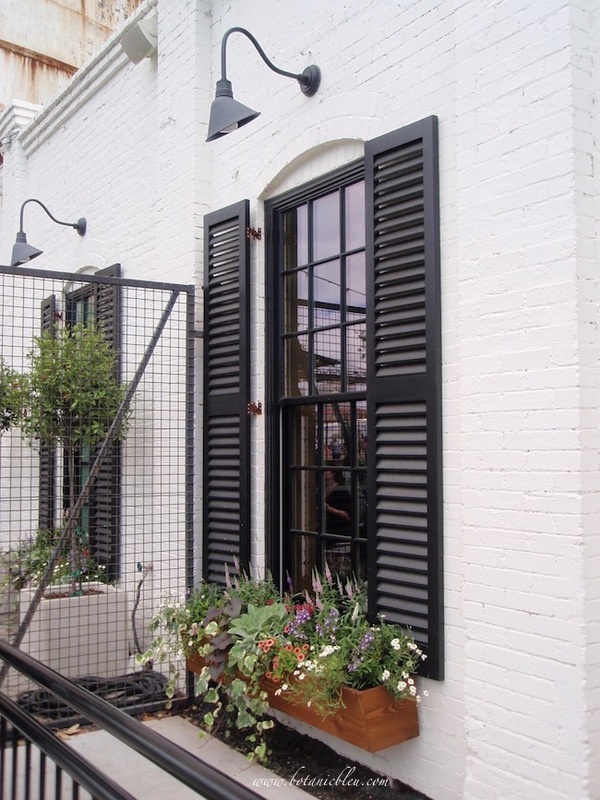 Open metal wire baskets work well as window boxes with natural coir liners to retain the soil. A basic pattern for plants in containers is to place showy tall plants at the back, to add filler low plants in the middle, and to plant trailing flowers and vines in the front. This pattern is often referred to as Thriller, Filler, Spiller plants, a catchy name that helps you remember a sure-fire arrangement for gorgeous window boxes and potted containers. 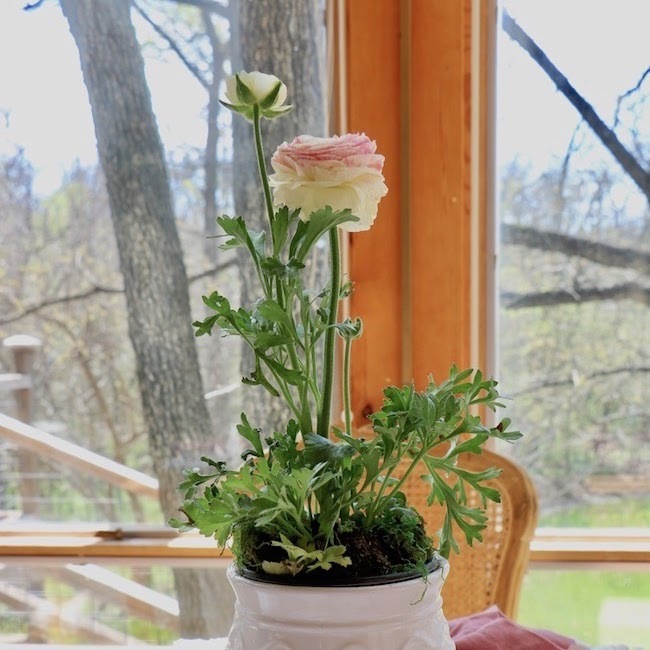 Include both 1] flowers with long blooming seasons and 2] green leafy non-blooming plants for added interest when blooms are not at their best. 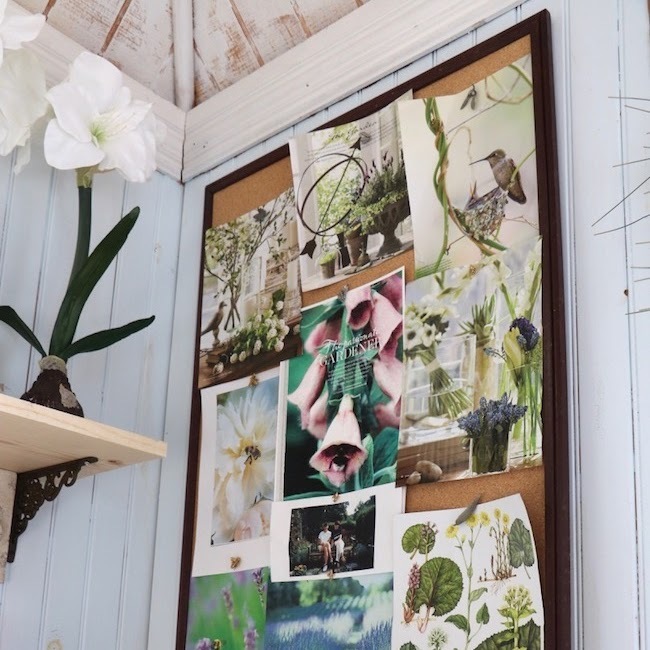 Combine flowers and plants with different shapes and textures*. Annual zinnias bloom all summer in a wide range of colors. They do not need staking, but dress up the rustic split wood fence surrounding a vegetable patch. Perennial blackfoot daisy borders soften the edges of paver walkways. These are the same plants used in the Silo Bakery window boxes. 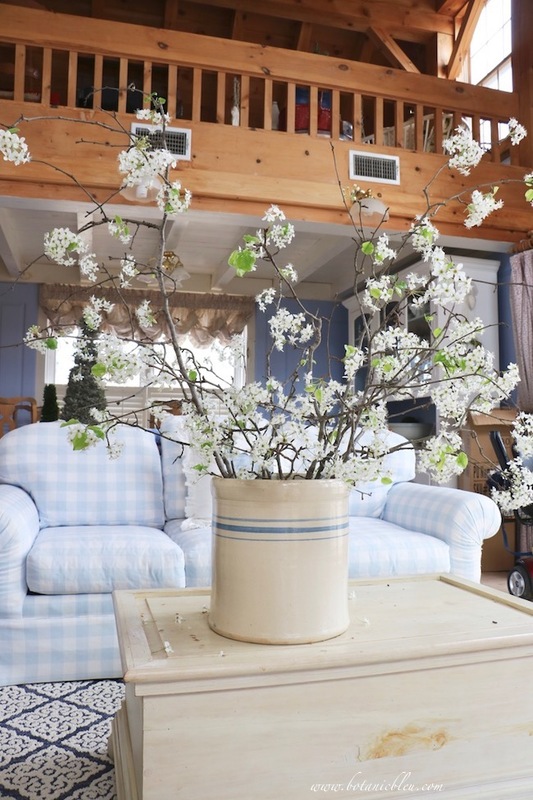 Using the same flowers across a garden in a variety of ways unifies the overall design. 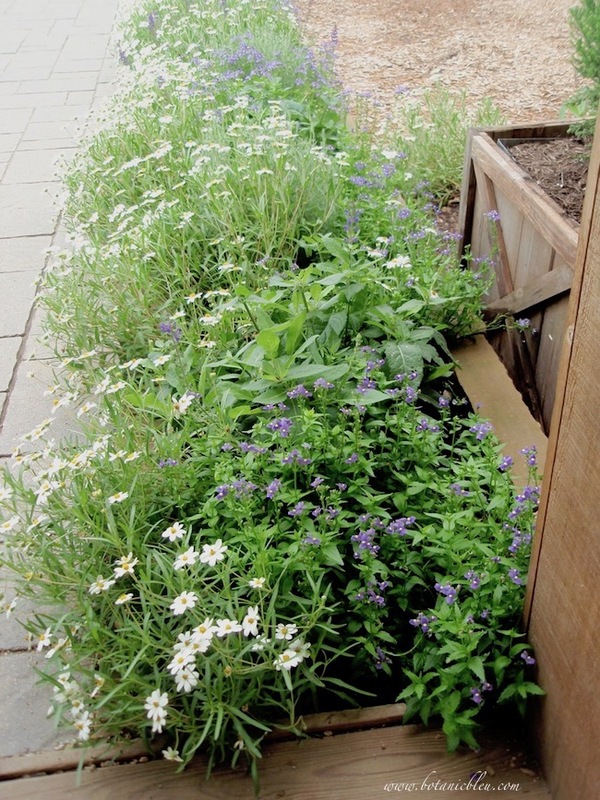 Raised herb beds make it easier both to care for the plants and to harvest them. 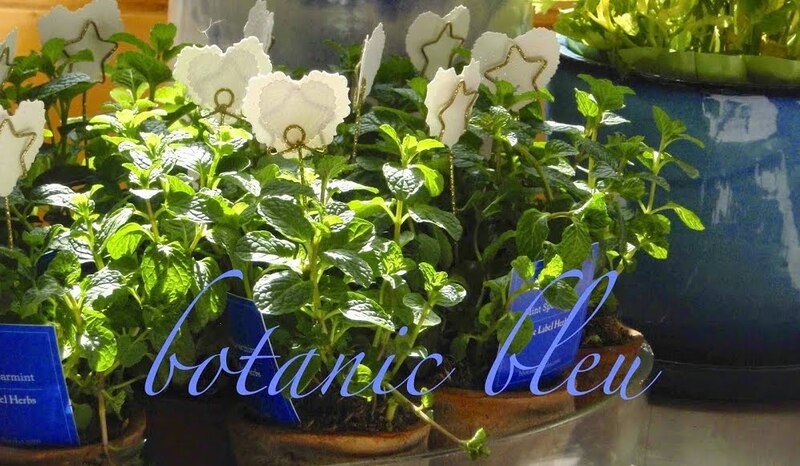 In addition, some plants like mint can take over a garden and are best planted in containers to control their spread. Raised vertical beds maximize garden space with a smaller footprint by going up instead of out. 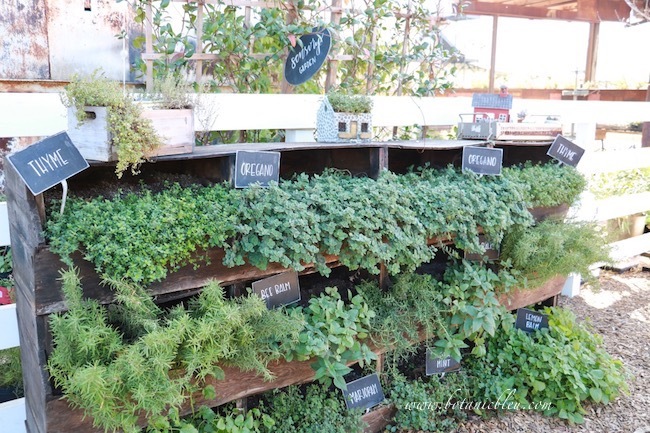 For backyard suburban gardens, vertical beds above a lawn planted with grass is a great way to have both an herb garden and a lawn without grass/weeds in the herbs. 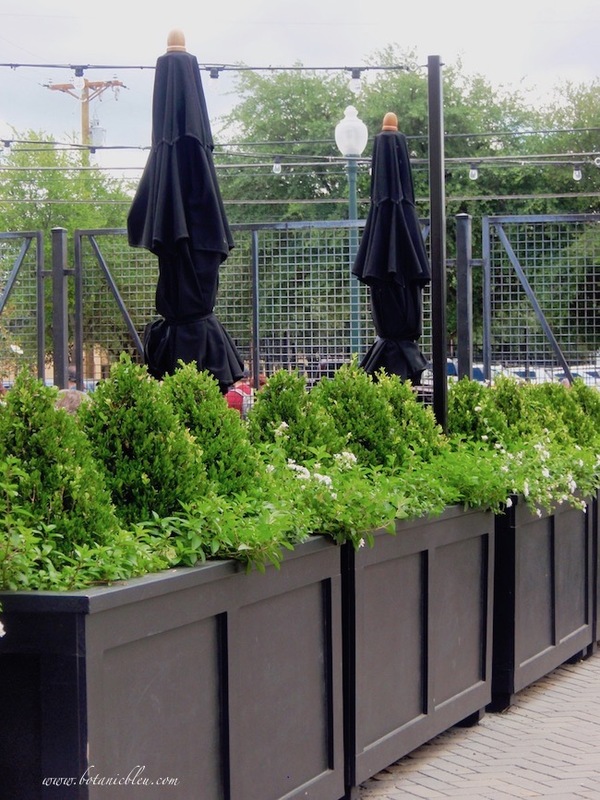 A row of wooden boxes holding cone-shaped boxwood topiaries and flowering plants serves as a divider/barrier between the main walkway into Magnolia Market and the Silo Bakery patio seating area. The plants are low enough for visitors to be enticed with the cupcakes being eaten at the patio tables, but are a massive barrier that directs traffic flow. If you make a trip to Magnolia Market, you will definitely want to have both the Strawberry Cream and the Lemon-Lavender cupcakes. 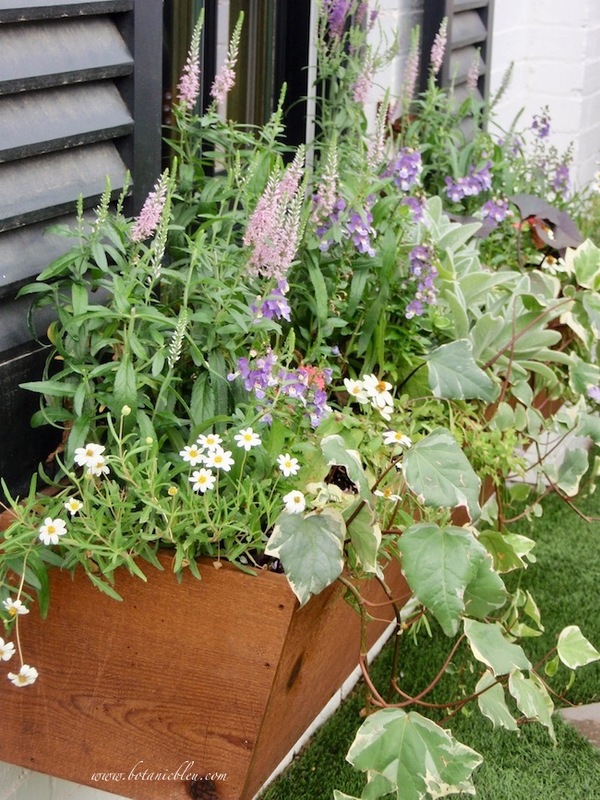 Similar container plantings can be used in your garden area to separate a dining area from a children's play area. Large containers also could serve as a safety border at the end of a deck without a railing. Or, what about a row of containers separating a driveway from a lawn? ⚜ Are you looking for a way to add French style to your garden? Add containers planted with boxwood topiaries. 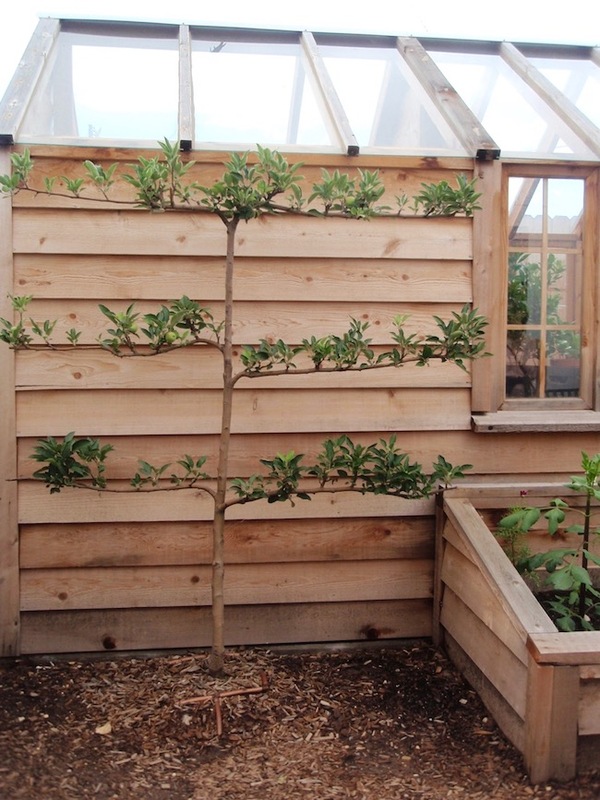 ⚜ Espaliered fruit trees are another French style gardening element for your garden. Look closely at the second branch on the left ... a small apple. What are some characteristics of a French style garden? Symmetry, clipped shrubs, topiaries, espaliered trees, and straight paths instead of winding curves. If you want a country farmhouse feel for your garden instead of a French style, use rustic limbs tied together to form plant supports in your raised vegetable garden. Wrap twine around the top of four branches. Add twine three or four more places around the four posts to stabilize the structure even more. 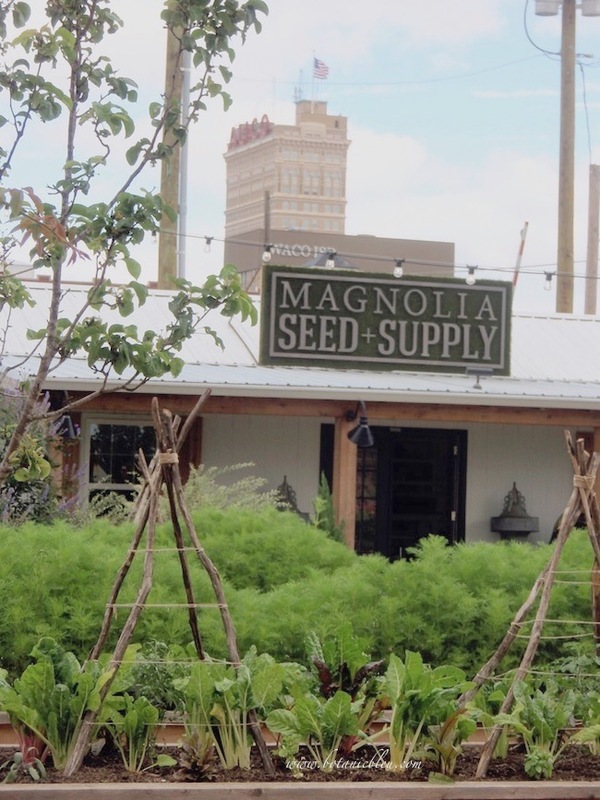 For home gardens in small backyard city plots, all of the creative container plantings at Magnolia Market in Waco offer excellent ideas for smart gardening in limited space. Seeing the gardens in person gave me so many ideas for gardening. Need a little help with building raised beds? Carol at Garden Up Green has instructions for how to Build A Vertical Raised Bed. Love French style gardens? 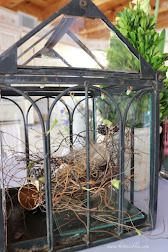 Sarah at She Holds Dearly has a detailed post for how to build inexpensive DIY French Tuteurs for the Garden. These wooden garden supports are absolutely beautiful and oh, so FRENCH! Part 3 of the Magnolia Garden Ideas to Make Your Own will include photos of garden structures and garden maintenance areas. 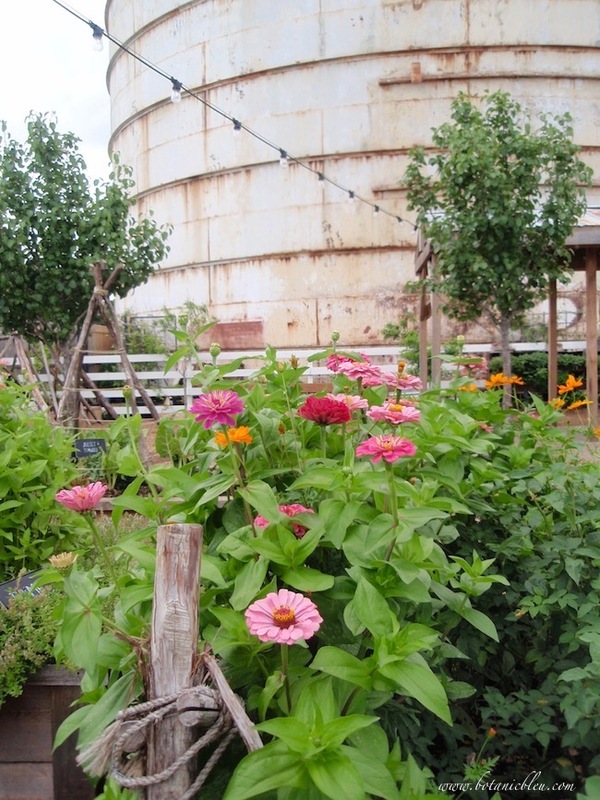 Farmhouse style abounds all over the Silos complex. With spring in full swing and summer just around the corner here in north Texas (90° forecast for next week ... ) we are gardening around the clock and loving lazy afternoons on the porch before the sizzling heat hits. 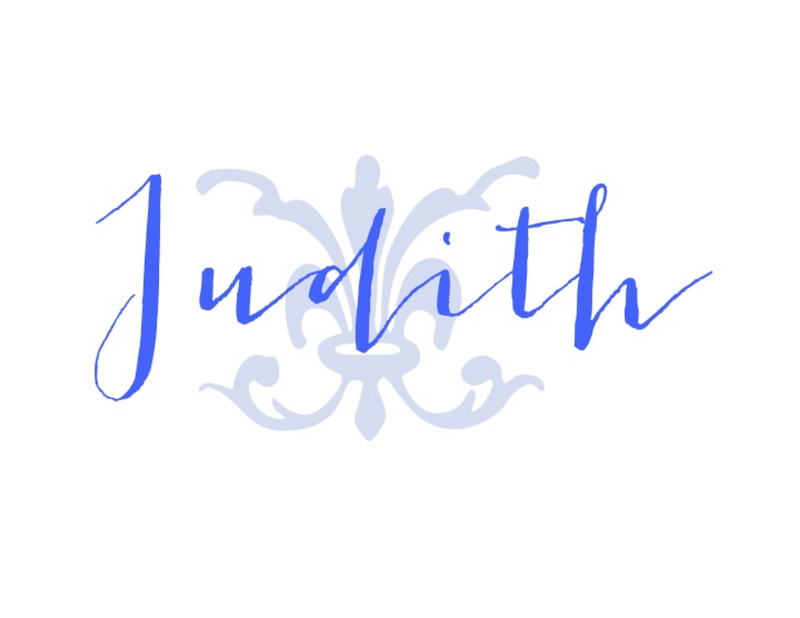 Soon I will share plants and gorgeous new ceramic pots that are giving my porch some beautiful French style. I have been looking for affordable large French style ceramic pots for over two years and found some this week. 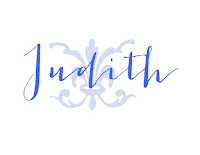 I can hardly wait to show you photos. 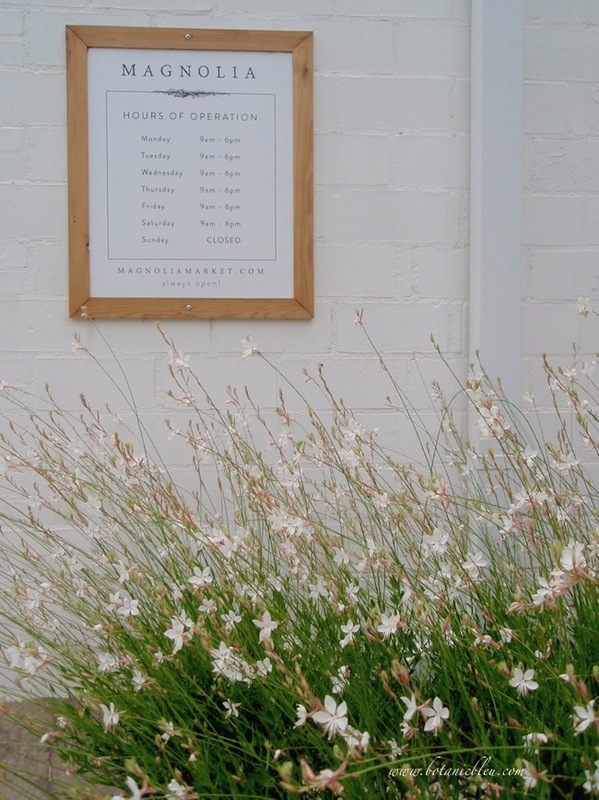 Have you found some ideas from Magnolia Market's gardens to try in your gardens? I'd love to plant the perennial daisies as borders. I love them! 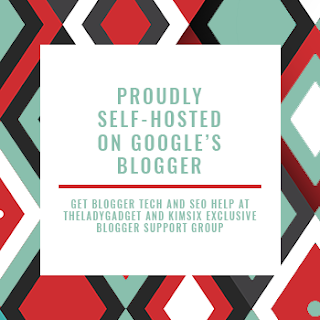 I enjoyed this post....lots of wonderful ideas! Looking forward to Part 3! Wonderful inspiration. We are slowly creating gardens at our new home. This is a good series and full of inspiration! Everything Magnolia is really well thought out. You are so good to see it, recognize it and catalog the planning and execution of it. A very helpful post to those planning a garden space. Great photos too. Thanks for linking to Keep In Touch.